Learn about our service projects! SAINT WENDEL CATHOLIC SCHOOL HAS BEEN RECOGNIZED AS A "4 STAR" SCHOOL AND HAS BEEN AWARDED AN "A" RATING! 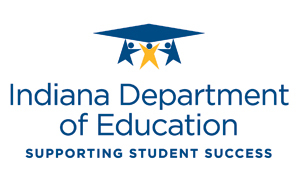 Each year, the Indiana Department of Education recognizes schools that perform in the upper 25th percentile of schools in performance on ISTEP+ and ECA state exams, as well their rating determined by the national No Child Left Behind statute's Adequate Yearly Progress (AYP). Saint Wendel Catholic School is very proud to have received a FOUR STAR Ranking from the Indiana Department of Education six years in a row! Beginning with the 2010-11 academic year, the State Board of Education changed the labels for school categories based on student performance from the terms Exemplary, Commendable, Academic Progress, Academic Watch and Academic Probation to easy-to-understand letter grades A, B, C, D and F. Starting with the 2011-12 academic year, the State Board of Education adopted the use of a new methodology for determining a school or corporation's grade, A-F. Indiana's new A-F model holds schools and corporations to higher standards and provides a more accurate picture of their performance by incorporating student academic growth and graduation rates, as well as college and career readiness, as measures of success. 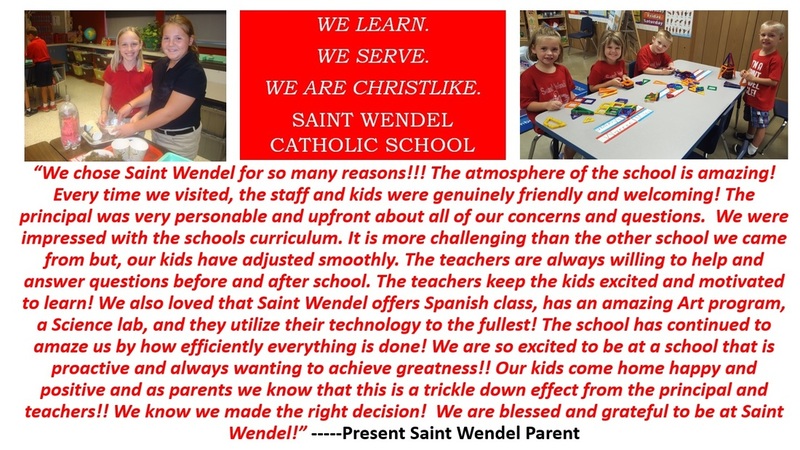 Saint Wendel Catholic School has received an A grade from the Indiana Department of Education every year since it's inception! Saint Wendel Catholic School Scored the HIGHEST in the entire STATE for their 2017 combined ISTEP Math and LA Scores!!! Great Job Students! 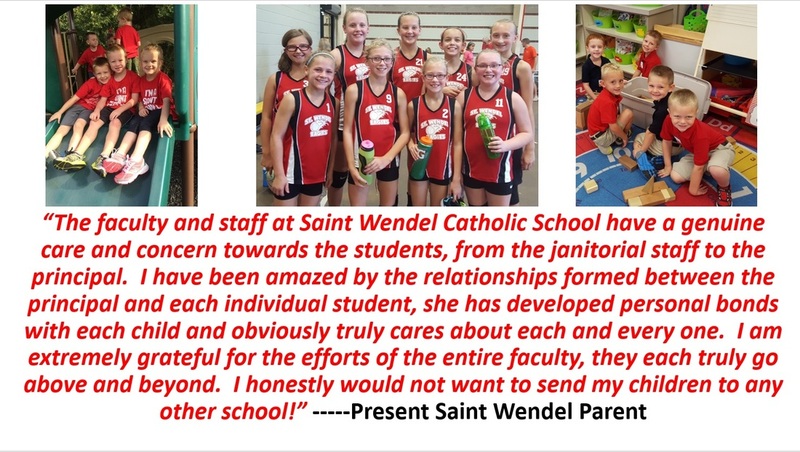 ​Saint Wendel Catholic School has existed for more than 150 years, and the mission of the school has always been twofold: to provide a rigorous academic program for our students and to transmit the doctrine of the Catholic Faith to the new generation of the faithful. These two missions have been connected to our present vision statement which simply is: We Learn, We Serve, and We Are Christlike. One of the highest tributes which a school can receive is for an outside organization to objectively examine a school and find praise. This happened in the spring of 2015 when an accreditation team from Advance Ed visited Saint Wendel School, examined its accreditation documents, and interviewed 50 school stakeholders (students, staff, parents, community members). The findings of the committee were positive, and Saint Wendel Catholic School was described as a “treasure in southern Indiana”. Also, the Indiana Department of Education has ranked our school in its “A” category which shows that we work hard to insure continuous student achievement. For the past 5 year years Saint Wendel has been named a 4 Star School!! Please take time to peruse this website to gather information about our school. Be certain to check out our ISTEP+ scores which rank at the top of Diocesan and State of Indiana scores. Also, check out our list of “service projects” which connect to our vision of service. These ISTEP+ scores and service project information are located under the "Academics" link. Finally, be certain to read the bios and class information from our dedicated and caring staff. Don’t hesitate to ever contact us if you have a questions about our school or parish. Copyright Reserved. ©2014. Saint Wendel Catholic School. All Rights Reserved.